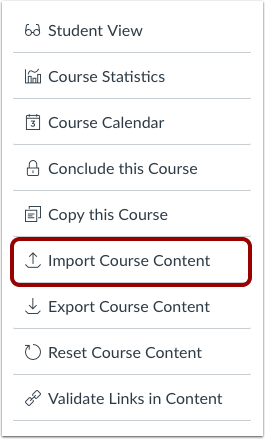 When importing course content with the Course Import Tool, you can choose to select specific content as part of the import. 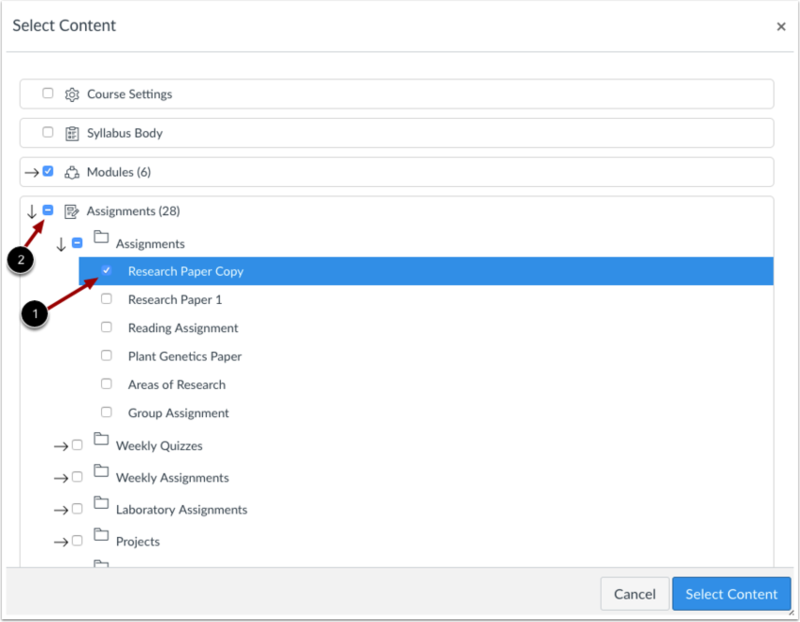 This option allows you to select specific content areas such as assignments, settings, and files without importing the entire course. Not all content can be copied as part of a course. 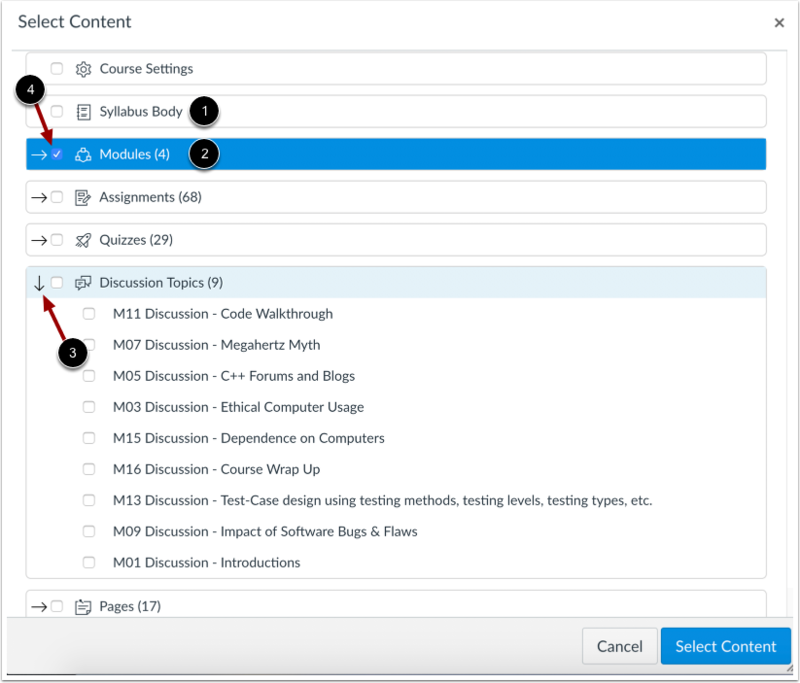 If you change your mind after the import has started and you want to import all course content, you can import all content by selecting each item for a content type. For information about the Course Import Tool's limitations, view the Course Import Tool overview. In the Content Type drop-down menu, select the content type you want to import. Complete any additional fields required for the content. Content can be individual items  or a content group . Content groups show the number of items within the group. To view content within a group, click the group's expand icon . To import all content for a content type, click the checkbox next to the content name . If the content type is a group, Canvas automatically selects all items within the group. To import only a few items from a content group, expand the group and select the specific items to be imported . 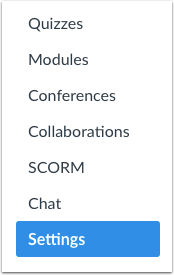 Canvas places a dash in the content group checkbox , indicating not all items are selected within the group. If you imported a Thin Common Cartridge file (Common Cartridge import), this file type is imported directly as module content. The structure can be expanded to view a nested layout that simulates the content structure. Learn how to select content with Thin Common Cartridge files. The report displays a menu bar with the time remaining to complete the import. View the content from any completed imports by accessing any link in Course Navigation. Previous Topic:How do I export a Canvas course? Next Topic:How do I import Thin Common Cartridge files as separate modules? Table of Contents > Course Import Tool > How do I select specific content as part of a course import? Re: Can I copy Module content from one course to another?